Gram Vikas put together this excellent video in recognition of its five-year partnership with TASIS. Gram Vikas is an NGO that has been working with the rural people of Odisha, India, for nearly 40 years. 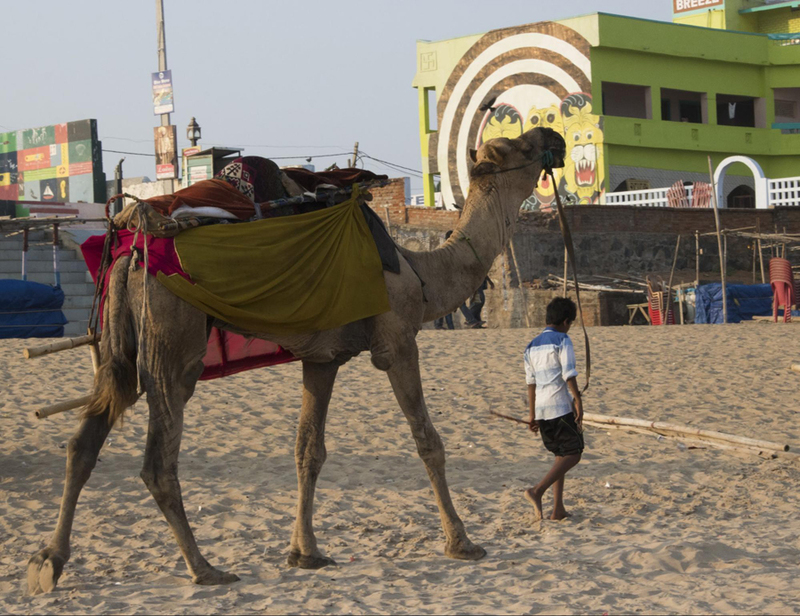 Students in this Global Service Program group spend much of the year learning about the regions of India and researching educational opportunities for students in the areas Gram Vikas serves. 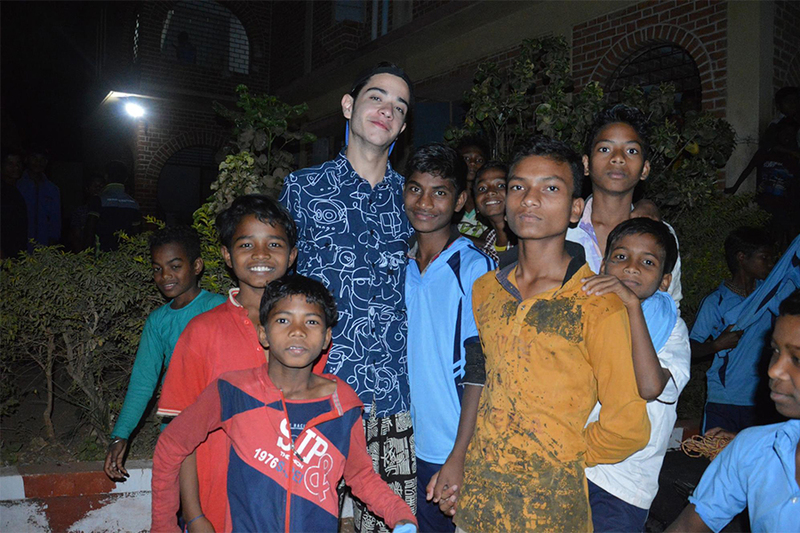 The group, which is led by Mr. Thomas Joyce and Ms. Natalie Philpot, then spends eight days in India working with Gram Vikas to expand horizons through research, service, and experience. 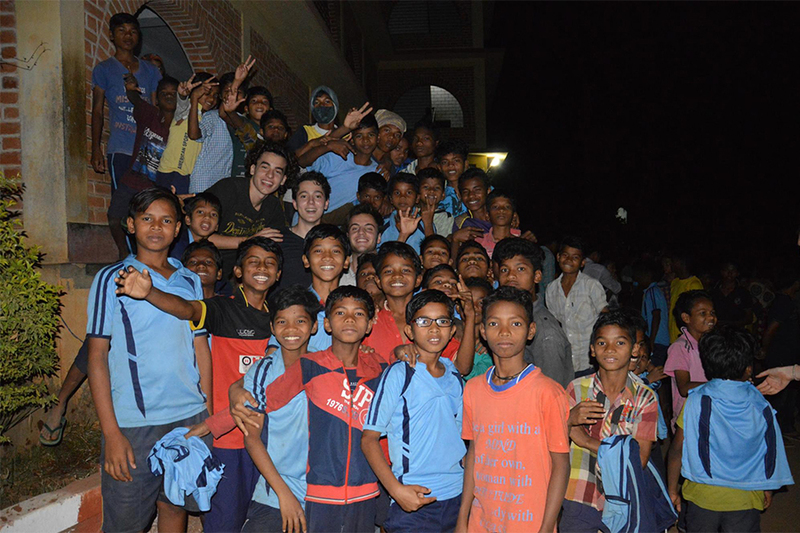 In the article below, Giorgio Gambazzi ’18 reflects upon the lessons he learned during this year’s trip to Odisha in late February. I can safely say that my GSP trip to India will be one of those things I’ll remember for good. Never before have I expressed such vast emotions as a result of my surroundings. Alongside 14 peers, the overall trip lasted for eight days, and in each and every one of them, I learned something truthful. This was only possible thanks to the useful and precious connection TASIS has with the NGO Gram Vikas. They showed us, through insightful presentations and eye-catching sights, how water and sanitation determine the living conditions of Odisha's people. They took us to various tribal villages, teaching us what it means to have the basics of life. The primary focus, however, was a school Gram Vikas operates. Upon our arrival, 500 kids greeted us. When talking to those kids, I caught gleams of purity everywhere. An unspoiled way of life manifested itself in front of me, and by viewing it, I came to realize many things—especially later on when our plane hit the landing strip in Milan. I was back on European land, and within the first 10 minutes, I was bewildered by how different everyday objects felt. Below is my list of seven ordinary aspects of life I now have a much greater appreciation for. Before I went to India, a hot shower was an everyday thing. Quick and easy. The first thing I would do was turn the nob and let some steaming water flow out, enjoy the nice art-deco on the wall, and go about my day. In India, this was not the case. I missed my hot shower. As a result, the instant I got home, I was steaming my bathroom. It makes you really wonder just how much those hot showers mean to us. Switzerland is very ordered, very clean—a neat and precise country with a reputation that precedes itself. Odisha is not. And I don’t mean that in a bad way—it’s just the way things are. The attributes that come with a “First World country” are absent, and therefore the land is “still developing.” We can argue what this logic really means, but the point is, government order does exist on a much more massive scale within our European lands. And since my return home, I sometimes wonder if it is such a good thing after all. Clean water is a big one. I don’t think enough people realize what it means to have potable, healthy water straight from the tap. Throughout my stay in India, I witnessed what it means to not have potable water—to struggle relentlessly in order to get some clean water. You’re somewhere around India and can’t get your hands on some bottled or filtered water? Don’t expect a pleasant evening. Every time I consume a refreshing beverage now, I make sure I finish it. It is fascinating to have seen what these kids learn on a daily basis. Most of them knew more about physics than I ever learned. The idea of distraction or losing time is very rare amongst the students. This is because each classroom has this sort of unity where everyone wants to learn, and everyone makes sure they get every last bit of information. Back at home growing up I remember my friends looked at school as something they had to do, as instructed by the law—never as something where you got to learn applicable skills and precious knowledge. Thus, the image of all these kids wanting to learn so eagerly truly made me think of how privileged we are in that we possess so much information and equipment. 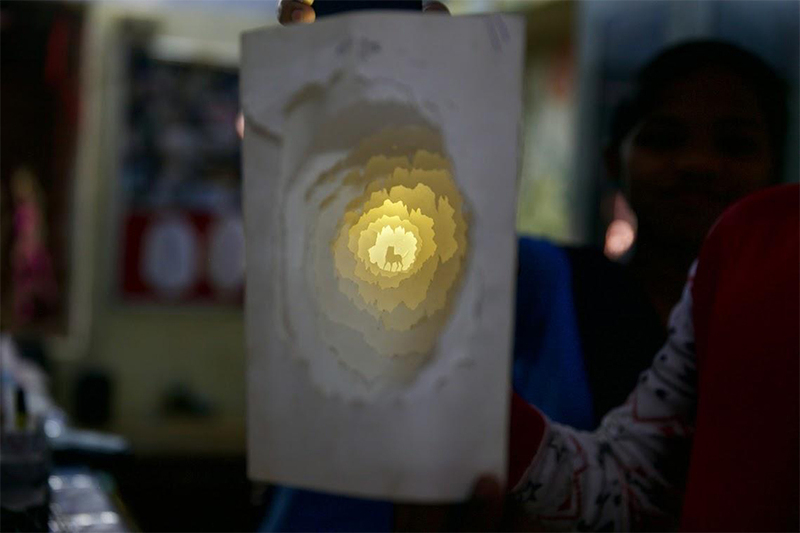 During my time in India, I wondered who gets more out of these trips—the communities we serve, or the students who go? Tough in its nature, this question holds no single answer. What I can provide though is a testimony to the expressions my peers revealed upon our return. Their newly found understanding burrowed itself within each one's minds, some more and some less. I think we all came back with a new perception of humanitarian deeds and how they can impact vast amounts of people. One student who helped me realize that our service doesn’t need to stop the moment we board our plane back home is Tennessee Hildebrand, who graduated from TASIS last year but has chosen to make a return trip to Gram Vikas for an extended stay of two months. 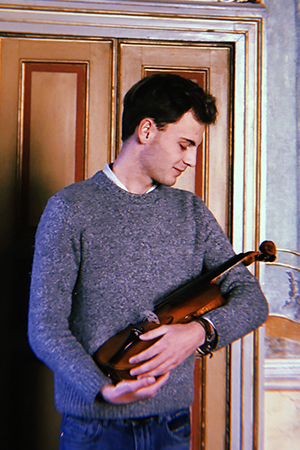 (He is currently taking a gap year before pursuing his studies at Loyola University New Orleans and spent the previous five months hand-crafting his own violin at the world-famous Academia Cremonensis in Cremona, Italy.) Tennessee, who arrived in India two days before us, is aiming to identify new solutions for everyday matters and act as a fresh mind for the Gram Vikas organization, which is soon to turn 40. He recently produced this excellent documentary about Gram Vikas. I was also recently inspired by fellow TASIS senior Camilla Redmond Costa, who traveled to Zambia with the Serving Southern Africa Global Service Program group last year and chose to return on her own for 10 days this December. I believe in helping others: to live the moment where you catch that mirrored reflection of the flaw you would like to solve, and in an instant to commit to doing it. As my future lies in front of me, I feel passionate to do good and hope the world will allow it. During times like these, we have to help, and I've lived through enough to have learned that what comes around, goes around. What I can buy with a dollar in Switzerland is nothing compared to what I can buy with a dollar in India. Everybody knows this. When you see how it all plays out, though, you realize how much more money an average European family spends. With sums like these, the people of Odisha—and many other regions of the world—could secure good living conditions and live more peacefully. During our trip I noticed how it was the little things we kept doing that weighed a great deal for the children we worked with. Things that we take for granted day by day made hundreds of kids speechless. Events such as these are mutually beneficial for all parties involved. The kids were mesmerized by our presence, whilst we thought about deeper aspects of life. Photos taken by trip leader Mr. Thomas Joyce and Alexandra Pohl ’19. See more photos from the trip on the TASIS SmugMug page.